Gingivitis is a gum disease (or periodontal disease) associated with inflammation or infection of the gums. The periodontium constitutes the support tissue of a tooth, and is composed of the gums, but also the alveolar bone, the periodontal ligament and the cementum. If gingivitis is not treated, it can progress and affect the rest of the periodontium. It is then called periodontitis and becomes more difficult to heal. The major cause of gingivitis is the long-term deposit of dental plaque. This plaque is composed of bacteria, viruses and microscopic parasites which all constitute an aggression against the gums, causing inflammation (red gums). Good oral hygiene measures (brushing and flossing) should prevent gingivitis because of the continuous removal of plaque that builds up around teeth after each meal. Tartar has also made of bacteria that can infect the gums and cannot be eliminated by dental hygiene methods at home. But brushing and flossing daily can significantly slow down its development. To remove the accumulated tartar, scaling must be done in a dental office, usually at a frequency of two times a year. A hormonal change in blood, which can occur during pregnancy for example (pregnancy gingivitis). Taking certain drugs such as antiepileptic and immunosuppressive medication. Some systemic diseases such as diabetes, leukemia or AIDS. A badly adapted dental crown. Misaligned teeth can make it more difficult to remove dental plaque by brushing. Common gingivitis is displayed by reddish, swollen, shiny and smooth gums. They bleed very easily when they are touched by something, particularly during tooth brushing. Sometimes they can even bleed spontaneously. Plaque or tartar can often be seen around teeth. In comparision, healthy gums are normally pink and have an orange peel appearance, confirming that they are firm and well linked to the alveolar bone. Necrotizing ulcerative gingivitis is described by gums which have craters forming between the. 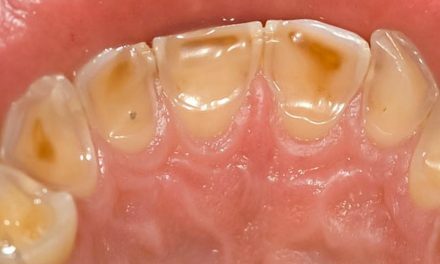 This kind of gingivitis is generally caused by a very serious illness, a very important stress, or a weakened immune system such as patients with AIDS. Necrotizing ulcerative gingivitis is normally very painful. 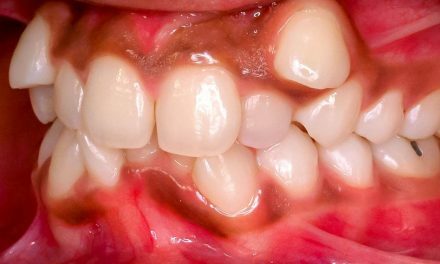 Hypertrophic or hyperplastic gingivitis can be described by a very considerable increase in the volume of gums, sometimes hiding the teeth completely. This type of gingivitis is usually caused by taking certain drugs like dilantin or adalat. Regular tooth brushing, twice a day, or preferably after every meal, to remove dental plaque. Daily flossing to remove plaque that remains caught between teeth and that cannot be eliminated by brushing alone. Tartar scaling in a dental office, at a frequency that follows the speed of which the tartar forms, generally twice a year on average. 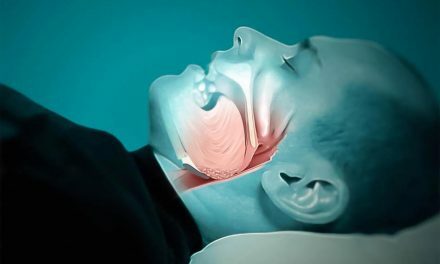 Mouth rinsing with an antibacterial solution, such as saline water or chlorhexidine. 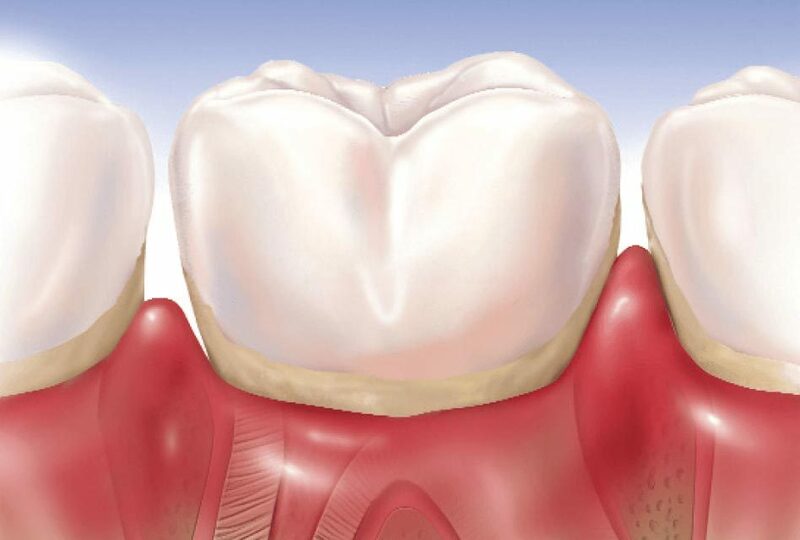 If the gingivitis is hypertrophic, surgery can be necessary to remove excess gum (gingivectomy). 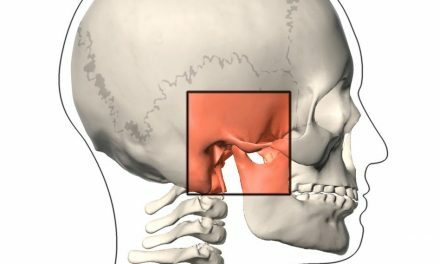 If there are pockets in the gums, curettage must be considered and the presence of periodontitis must be regarded.